Being a lawyer is a very serious and responsible profession that requires very powerful case management, possible only through managing every little task very carefully and efficiently. Scheduling all tasks and assigning them the proper time and resource is a prerequisite for success in any case. Lawyers are responsible for not only taking care of all your legal scheduling but also of all those matters that are associated for their successful conclusions. 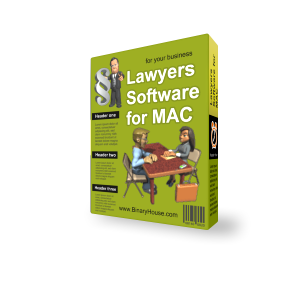 The Lawyers Software designed specifically to be used on Mac (OS X) is one comprehensive solution that offer lawyers, an opportunity to create a database that can store in all information related to different cases, clients and events. 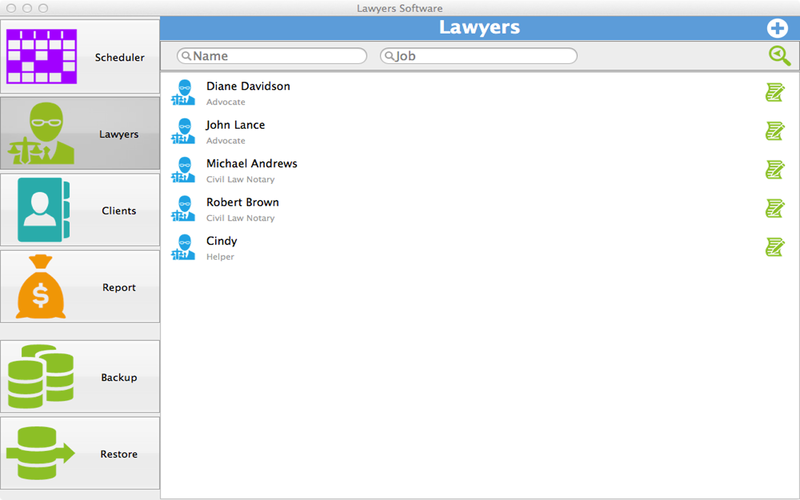 Lawyers Software is the ultimate solution for any lawyer allowing efficient management of all aspects of the services delivered. 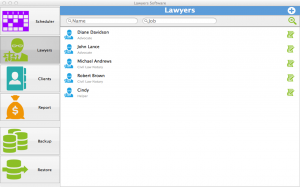 The software is designed to be used individually or by an entire law firm, as profiles of different lawyers can be created within the program and all related tasks can be recorded as well. 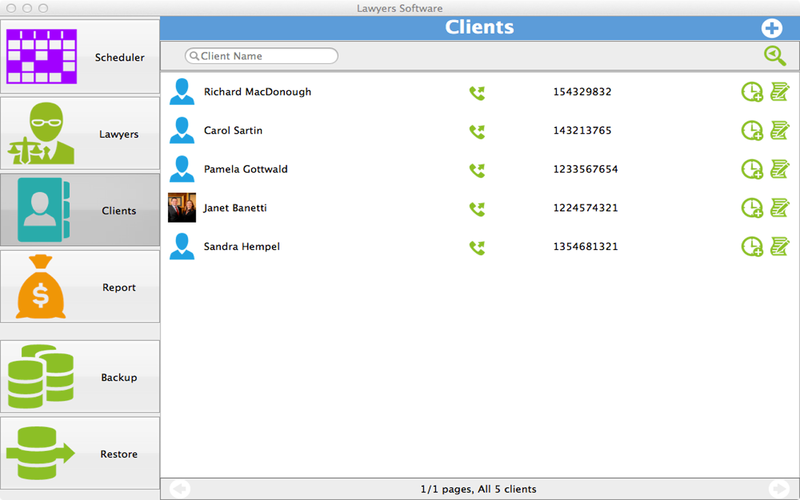 The program offers an easy to use and very simple interface with the main menu depicting four distinct icons of Lawyers, Clients, Reports and Scheduler. 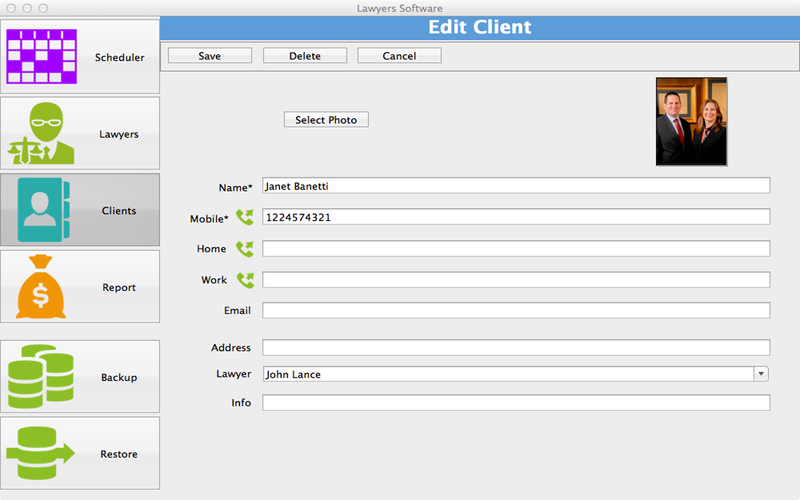 The Lawyers section allows profile creation of every lawyer along with professional specialization areas that can be looked up instantly through the program and the client can be forwarded to the most appropriate lawyer. 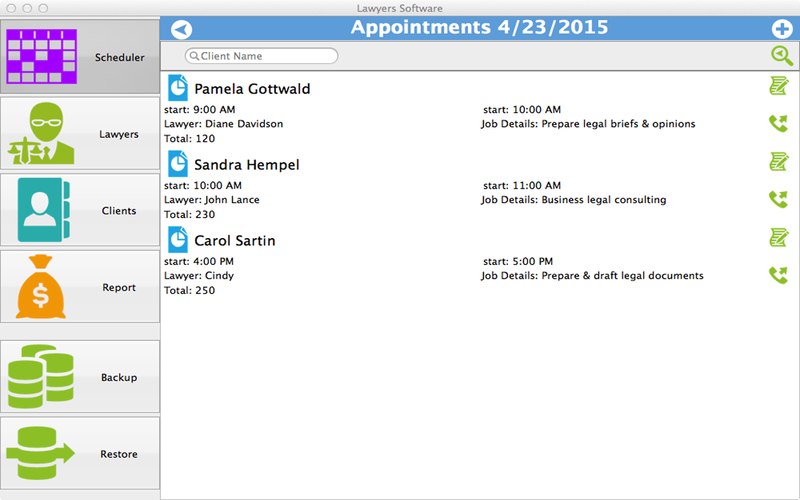 Also you can check recent appointments of the lawyer and accordingly suggest meeting time. 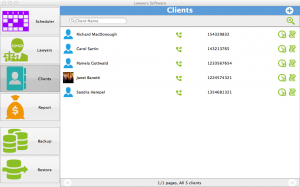 The program also allows direct contact with the lawyers via Skype, while making direct phone calls from the program itself is also an option. The Clients section holds in all information about the company’s or lawyer’s clients along with the provision of capturing their photos, to maintain with other records. Details of the clients include name, photos, work/home/mobile phone numbers, emails and addresses. 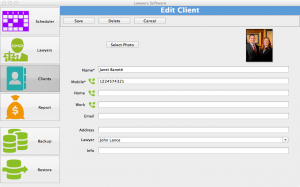 Besides making direct phone calls to clients from the program, users can also check list of clients for past job references and accordingly create new appointments. The Reports section offers a full financial analysis of any period required and can be checked at any time. 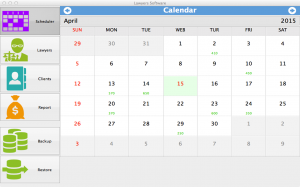 The Scheduler section appears in form of a calendar where daily earnings are highlighted on the top corner of every date. 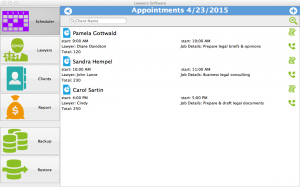 Besides financial earnings, the scheduler also allows the opportunity of viewing and scheduling appointments along with job details of every single day. 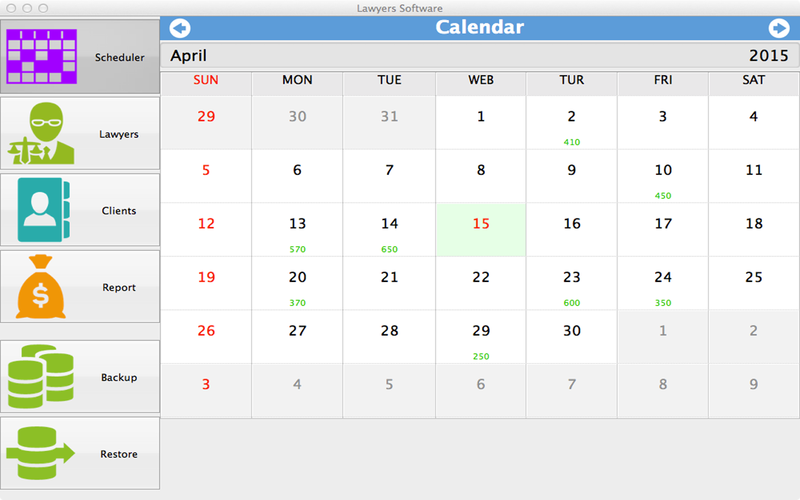 The daily details offer valuable insight on every lawyer and the client they are attending to, the time of the meeting, details of the job and earning from a particular client all can be viewed instantly in a single glance. As an option for restoring and backup of the precious information saved in your program’s database and to assure its safety, the program can also be made compatible with other mobile devices such as Android and Windows Phone, however for this users are required to install particular programs available from respective stores.